Expired 1mo ago . Last validated 1mo ago . Used 28 times. 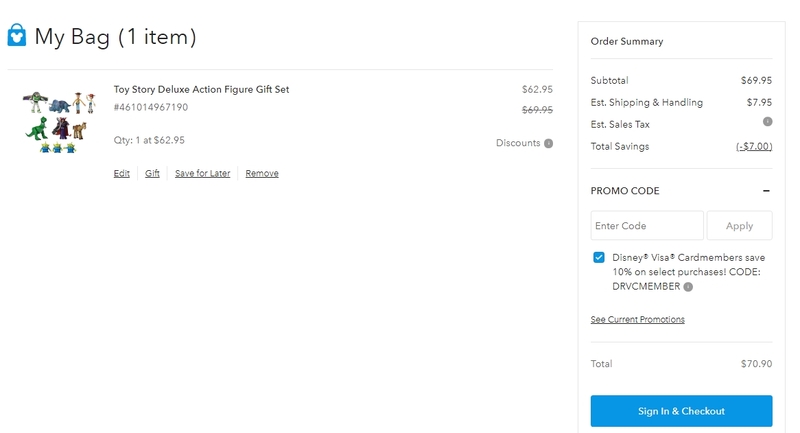 Jesus david Espinoza Malave I have tested this code and is working as described, apply the code at the checkout and enjoy the discount. Samantha I am validating that this deal works as described. 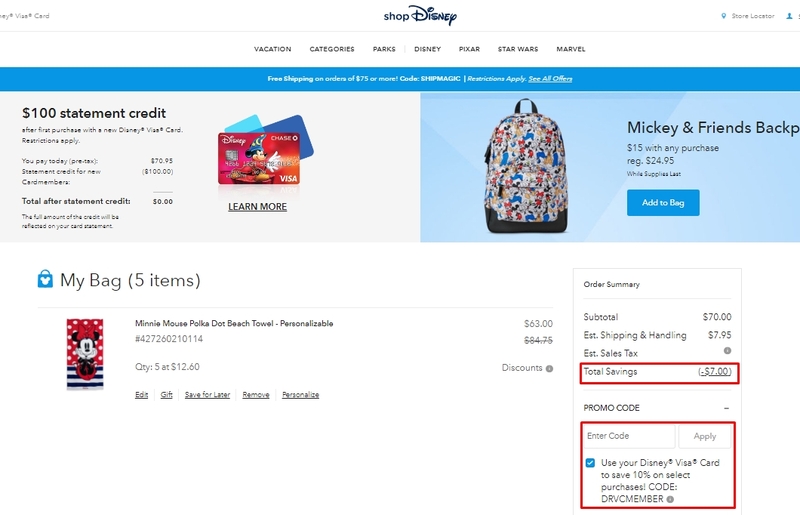 Enter code and Get 10% Off Orders $50+ With Disney Rewards Visa at ShopDisney.com (Site-wide). This is a limited time offer. Robert Get 10% off select $50+ orders when you use your Disney Visa Card at checkout. Enter the promo code to see the savings; some exclusions apply. Julian Bruce Tracy I am validating that this deal works as described. 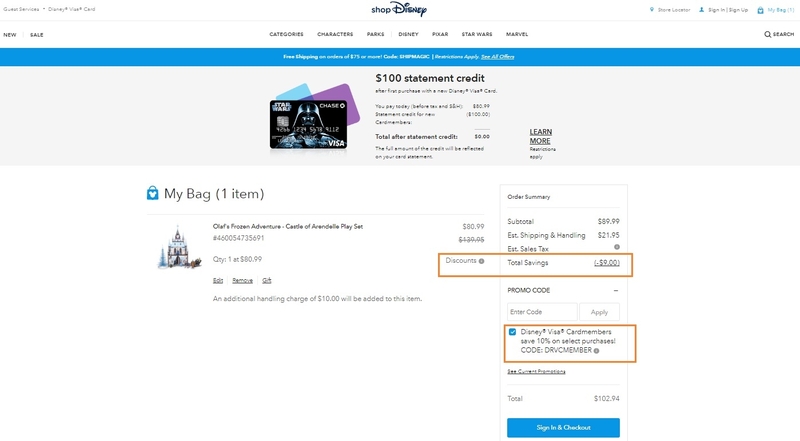 You just have to copy the promo code and paste it at checkout before pay.